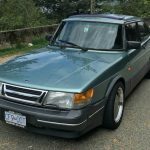 Every time we feature a Saab or Volvo on GCFSB, the chorus of “that’s not a German car” makes itself heard. We know. We’re aware. 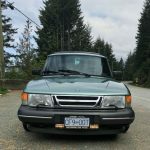 I’m always on the hunt to find the unexpected and interesting feature and this 1991 Saab 900 SPG fits the bill. These Swedish machines have a lot traits in common with their German counterparts, such as luxury, durability and safety. This would be the final year for the SPG in the US market, finishing with just over 7,600 examples sold since its introduction in 1985. 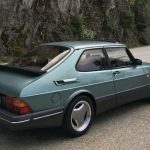 These cars were sold at a time when the BMW M3 and Mercedes-Benz 190E 2.3-16 were in showrooms, along with a variety of other machines which were using turbocharging similar to this Saab (see the Buick GNX, Merkur XR4Ti and Ford Mustang SVO). 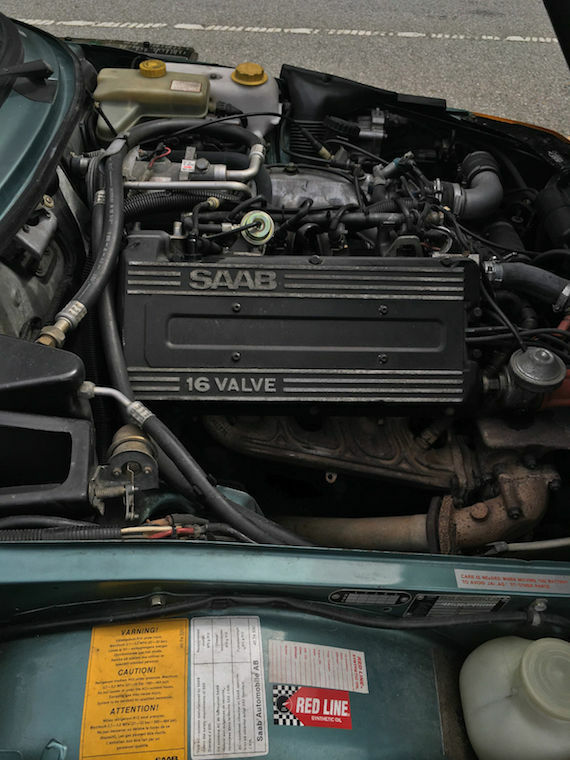 The Saab was a car for those who did things a bit differently. A thinker’s sports car, if you will. If you’ve been wanting to relive a bit of nostalgia from this defunct brand, here’s your chance. One of only 109 Beryl Green SPGs, and the best of the breed. The car was sold new by Arroway Chevrolet-Saab-Peugeot in NY. It will be very easy to import to the US, as it meets the 25 year rule and is a US car. The previous owner imported the car into BC from Portland, OR. The odometer stopped working at 236,000 miles and mileage is an estimated 235,000 miles. Although, this is a relative high-miler (arguably, not by 900 standards) it has been fastidiously maintained and it shows. I have all of the books and manuals and a binder of service and sale records dating back to 1991. This SPG is in very good condition to excellent condition, both cosmetically and mechanically. 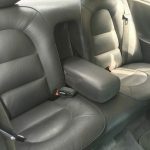 The is absolutely no rust anywhere and no known mechanical issues. The car runs, drives, shifts, stops, sounds and looks great. It is the most smooth shifting of all of the 900s that I have owned and a head-turner. Other recent work includes new headliner, brakes, cooling system and clutch. The beautiful Super Aero wheels have been refurbished and are in new condition. Tires are very recent Continentals with lots of life left. 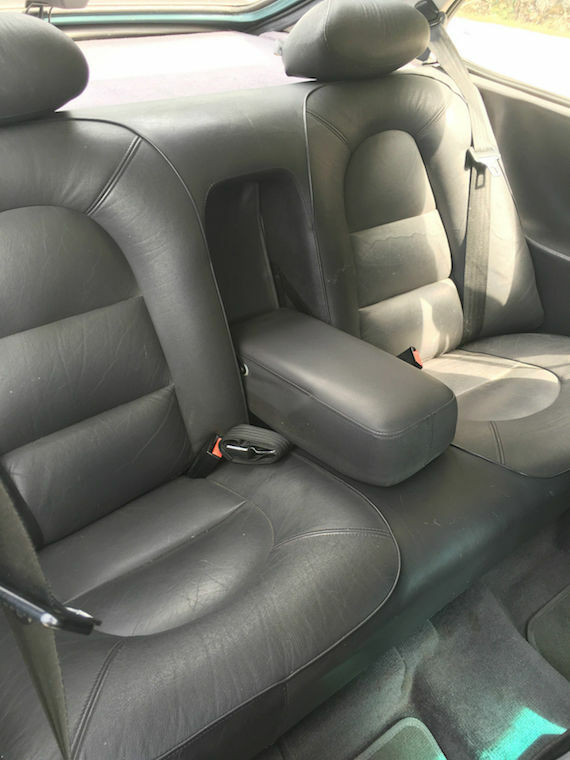 Everything works with the exception of items noted in the “Condition Description”. I am sad to be parting with this lovely SPG, but I have too many cars, parking space is a constant problem and my priorities are changing. Please ask any questions that you might have. Thank you for your interest. 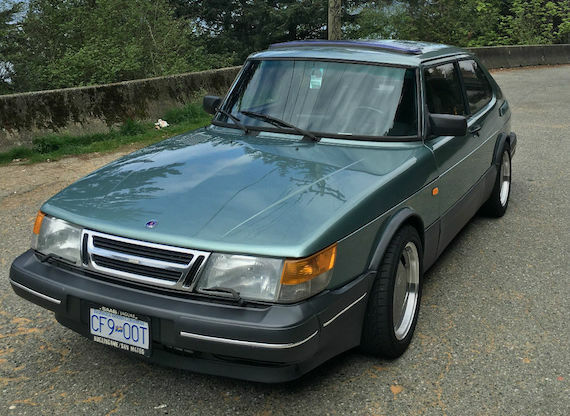 The minute I set eyes on this Saab I fell in love. Beryl Green is very 1990s, but it looks just right with the dark lower body cladding and Aero alloy wheels painted in metallic gray. This car has some issues, but you can’t deny that it looks great considering the number on the odometer. 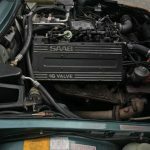 Sure, such high mileage might scare a few tire kickers away, but they aren’t making any more Saabs, especially limited edition versions like this SPG. 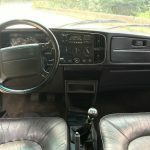 There’s a bit of discrepancy with the mileage stated, as its lower than when the owner said the odometer stopped working. More than likely this is a misprint or some explaining would be in order. 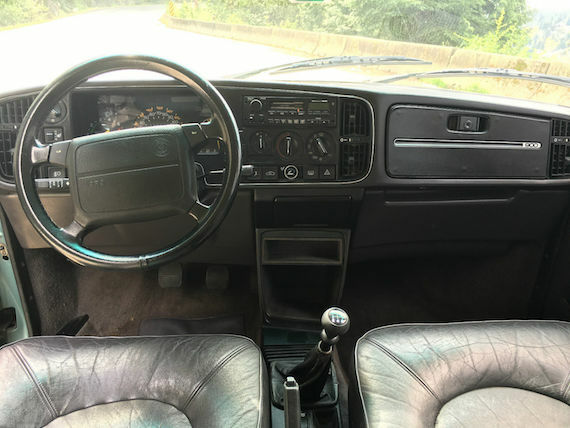 This 900 SPG has a reserve and I’d suspect everything being equal, it may fetch around the $4,000 to $6,000 range. That is about the opening threshold for what decent SPGs bring these days. 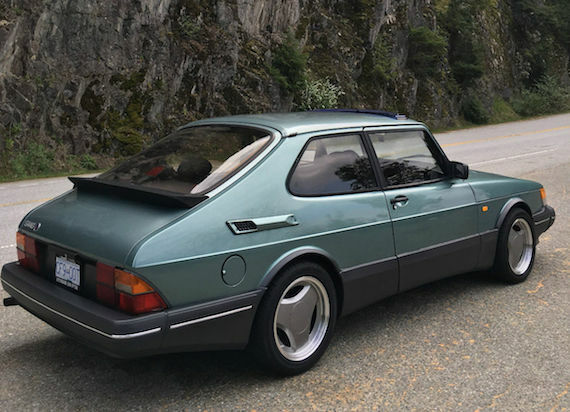 With the demise of Saab in 2012, I’d assume rare examples like this 900 SPG will continue to slowly climb in value, as collectors begin to set their sights on some of the fast machinery from Sweden. If you want to be different, it doesn’t get much better than a car like this. 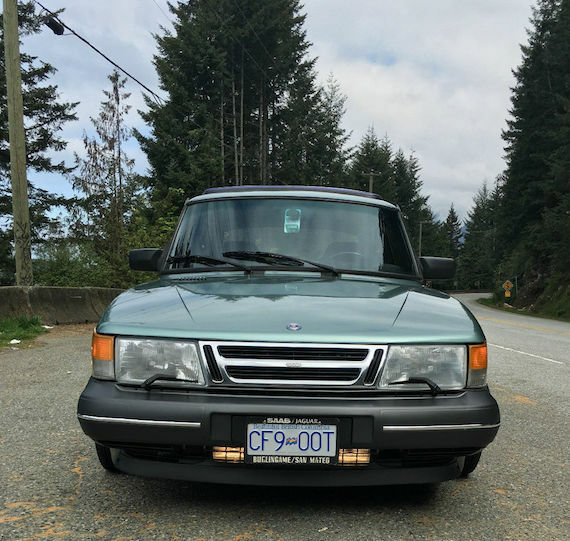 Tagged 1991, 900, Saab, SPG. What is the vent thing above the gas door, and is it functional or just cosmetic? That is a cabin vent, and it’s functional. Same as the Audi Coupe GT! Most newer cars they hide behind the rear bumper cover. Maybe change the name to G&SCFSB? Then you don’t have to put the disclaimer up every time you feature a Swedish car, which seems like a lot lately.